Yesterday, EVE Online player Brisc Rubal was permanently banned from the game and removed from the Council of Stellar Management, the game’s player-elected representative body. Outside of EVE, Rubal’s real name is Brian Schoeneman, and he’s a lawyer and a career politician, working as a lobbyist in the state of Virginia. 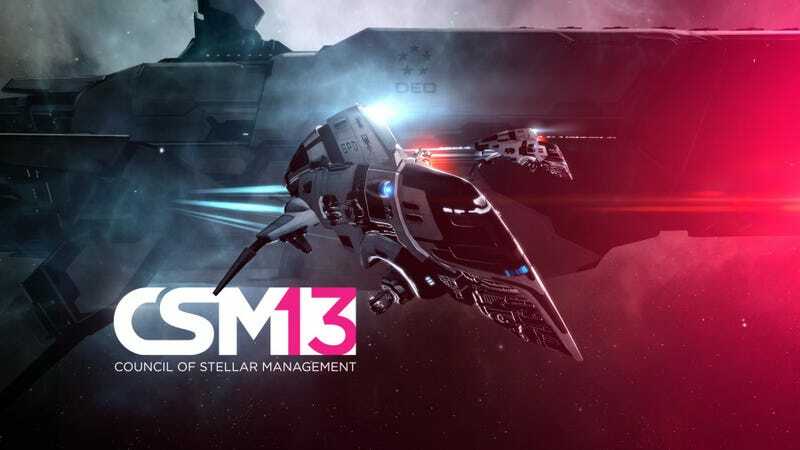 A developer blog released by CCP Games on Monday claims that Rubal was “found to be sharing confidential information with a member of his alliance that was later used by another alliance member to conduct illicit in-game transactions.” The Council of Stellar Management, or CSM, participates in closed door discussions with EVE’s developers that operate under a non-disclosure agreement. The blog states that a member of the CSM approached CCP with evidence of the prohibited communications, which, after reviewing, forced them to take action. These actions included not only banning all of Rubal’s accounts, but the accounts of two other players who allegedly received confidential information from him and used it to further their own in-game goals. As an attorney and a public figure in the United States, my ethics and reputation are regulated by a code of professional responsibility and statutory law, unlike CCP’s opaque community team. As a licensed attorney for nearly a decade, I have never had a complaint filed against me. I have served in positions of public trust in the United States Government and have never had a complaint filed against me. The claims that I would risk my reputation by providing proprietary or otherwise confidential information to members of my own alliance for personal gain are false. These baseless charges have had an immediate and negative impact on not only my in-game reputation but my out of game reputation. Rubal asked CCP to reconsider the punishments handed down to his two in-game associates, writing, “Their bans are wrong, and a travesty. [...] They do not deserve to be banned from the game, even for a year, and I strongly urge CCP to reverse these bans - not only for the sake of those two players but for all of the players who rely upon them.” The players in question, Pandoralica and Dark Shines, were banned for one year for allegedly acting upon the confidential information said to be given to them by Rubal, as well as having assets and currency on their accounts repossessed or destroyed. Pandoralica and Dark Shines are high-level members of the Initiative alliance, serving in leadership roles and leading Initiative fleets in the game. Recently, Pandoralica famously led the effort to assault and destroy what was considered to be a nearly invulnerable fortress belonging to another player alliance. The loss of these two players will inevitably cause harm to the Initiative’s in-game plans, and potentially the alliance’s future. Due to the nature of the accusations and the confidential material at their heart, players may never hear the full story. How Rubal will fight the ban and how CCP will respond remains to be seen. In the developer blog, CCP stated that it will be focusing on more education for players elected to the CSM, and take extra time to ensure that all participants are fully aware of the “do’s and don’ts” when operating under an NDA. For the duration of the current iteration of the CSM, the council will remain a member short. Elections for next year’s council are looming and are expected to begin soon, with details beginning to be released next week, according to the developer blog.